brandflakesforbreakfast: are we done with hipster crap already? are we done with hipster crap already? 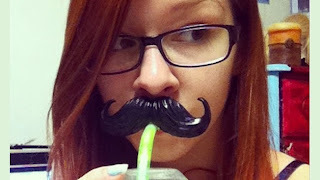 7-Eleven now offers their cavity inducing, but much beloved Slurpees in hipster-inspired mason jars with mustached straws. You know the hipster in you is saying "meh, mustaches and mason jars are so mainstream", but the kitschy dork in you soooo wants one.